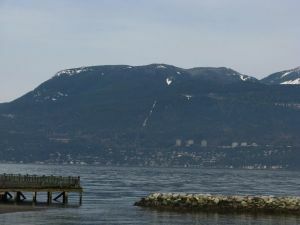 A rounded summit with some bluffs and numerous ponds on the south side forming the southern height of Cypress Bowl and rising directly above Horseshoe Bay in West Vancouver, from which a popular hiking trail rises to the summit. A good launch point for paragliders. The name "Black" comes from a big forest fire which burnt the mountain in the 1870's.